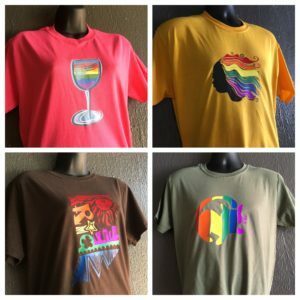 Hurry in and order a custom Indy Pride T-shirt at Mass Ave Wine. Choose from a variety of colors and designs by artist Sarah Raye Cote. Each top-quality shirt is $25. Stop by to place an order. In Featured, News Tagged featured, Indy Pride Bookmark the permalink.